Lackluster Manchester United beaten and battered 3-0 by local rivals, Manchester City at the Etihads Stadium. 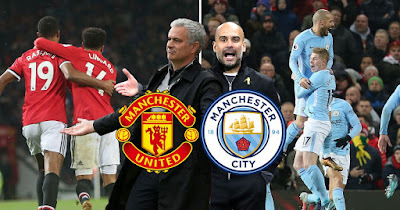 Goals from Sergio Aguero saw the home team extend their lead before Anthony Martial scored a penalty to give Jose Mourinho's men a glimpse of hopes they easily gave away after Ilkay Gundogan extended the lead again, putting the game even far beyond United's reach. In this world of commercial football, Jose Mourinho probably won't see his contract out in the dug-out at Old Trafford.